In a smartphone market where Google and Apple are both pursuing operating system dominance, it seems a bit odd that Apple's iPhone still relies on Google's search and maps services. Well, despite the rivalry between Android and iOS, both companies are actually to remain loyal partners in some business fields. That is what became apparent yesterday after Eric Schmidt, Google's former CEO and current Executive Chairman, announced that the internet search giant has decided to continue providing services for the iPhone. Judging by Mr. Schmidt's words, it also became clear that Google is not intending to break its business partnership with Apple anytime soon. That doesn't necessarily mean that Apple has abandoned the idea of having its own mapping service in the future, but right now, there seem to be more important things on the company's agenda. iMaps/iNavigate wasn't ready for prime time. When the product is ready, Apple will quietly not renew the contract. Google has no reason to not renew - thet get the advertising data from all of the iOS devices, which is where they make their cash in the first place. i think slowly they are getting away from their rivals. I wish Google would stop feeding into the Apple epidemic and drop support so we could all watch iPhone go down the shitter. I would lol so hard! Too bad Google can't turn down boat loads of cash and exposure and instead choose the higher path to not support the competition. Even if Google dropped Apple and its huge user base, the iPhone would not go down the sh*tter as you hope. 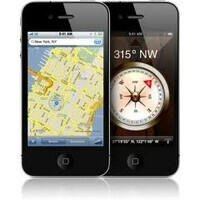 There are plenty of navigation apps for iPhone that Apple could partner with. Or, they could just accelerate the release of their home grown app. would you give up a huge user base and money stream? google has always made a lot of money off the iphone. google's money comes from advertisements. maps, navigation,voice, and all those other free google products are paid for with advertising money. giving up that stream to "stop feeding the epidemic" only hurts google, and us as android users as they might start charging us for those apps that are currently free. MS makes more off of android than they do of WP7... they also own a good chunk of apple as well.. is it really suprising that google makes a huge chunk off of Apple. Without MS and google, apple would just be a rotten fruit. Yes I would turn down the money; because I'm not a damn sellout! Besides, Google has enough users on Android alone to support it and make it free. I think it would possibly work out well for Android because if users could only get Google's services exclusively through Android then there would be that much more incentive to get off the Apple bandwagon and hop on the Android express! while that may be partially true, google and apple have been partners for a while now. its a mutually beneficial partnership. Google probably makes BILLIONS off of adds on the iphone and ipad. Why would you give up BILLIONS? Besides, Google is a publicly traded company. they have stock investors that they have to answer to so its not so simple. Their job is to make money, not to shut down apple. If it happens, then great.. but they arent going to shoot off their right foot and hope it grows back either. From a business standpoint, you are absolutely correct. But it's just nice to think altruistically sometimes. whys that? MS owns 30% of Apple already. They are always partners. The whole fan boy thing is silly, competition is always good. I hope windows soon gets competitive as well and Blackberry wakes up. More competition makes for better enhancements in technology. Think about how stagnant the world of cellphone technology was pre-iPhone when all there was were blackberries, terrible WinMo devices, and Palm. None of them pushing the envelope cause they didn't think of any ideas to get money in the consumer market. Yea...if there is one thing you have to like Apple for is the iPhone. It caused others to step up their game.